The average price of a gallon of gasoline in the United States fell for the first time in three months, dropping about 3.5 cents over the past two weeks, according to the closely-watched Lundberg survey. 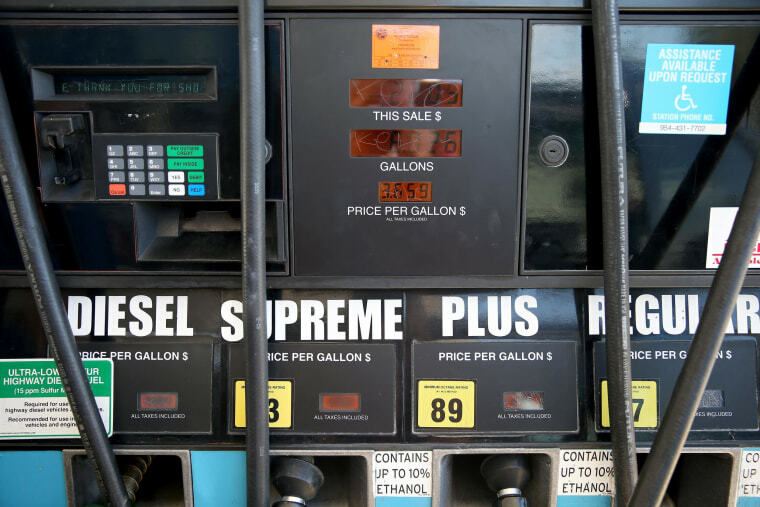 Gasoline prices, which had steadily increased since Feb. 7, eased to $3.6876 per gallon of regular grade gasoline, according to the most recent survey, which was conducted on May 16. "The price run-up was very steep," said Trilby Lundberg, publisher of the survey, noting that gasoline prices had gained nearly 43 cents per gallon, before the most recent decline. An overabundance of supply, with more than enough to meet demand, contributed in part to the most recent price decline, she said. Also, the higher amounts that refiners have to spend to make summer gasoline blend has been mostly passed along already. The price recorded on May 16 is slightly higher than this time last year, when the average was $3.6566 per gallon of regular grade gasoline.